"The Morey-Andrews house is a modest-sized exceptionally intact one-and-a-half-story Front-gabled[sic] vernacular form dwelling whose design and use of cobblestones as a siding material reflects the influence or the Bungalow and the American Craftsman styles. The Morey-Andrews house was built in 1931 by Pewaukee, Wisconsin builder Paul Miner and it is the last or four cobblestone-sided houses that Miller constructed between 1927 and 1932 in the Westowne Subdivision, an early suburb of the city of Waukesha. 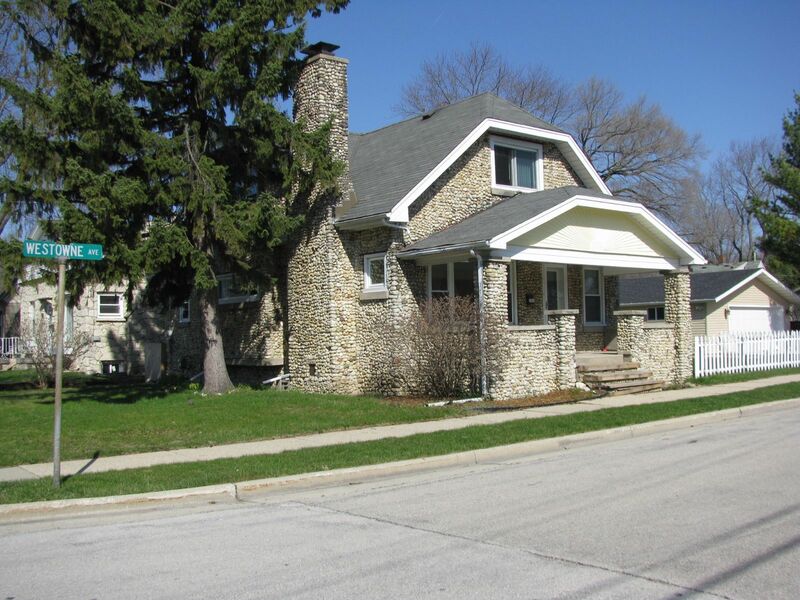 This 100 acre subdivision was developed in 1927 from portions of two farms that had been purchased by Theodore (Ted) Morey...[who was] the dean of Waukesha real estate developers. Together, Morey and Miller designed and built the first four dwellings in the subdivision and also a small building that served Morey as a land sales office. The designs of these five buildings were derived largely from Miller's previous building experience and all of them had and have exteriors wholly or almost completely covered in cobblestones taken from old fences and rock piles found on the site or on neighboring farms." Quotation from a document prepared for the National Park Service, Inventory Form for Nominated Properties dated July 15, 1991 prepared by Timothy F. Heggland.